Before she’s even sourced a fairy light or tasted a cupcake, Kip Penryn hires her services – but he’s opened an exclusive wedding venue in direct competition to her friend Poppy! Lily feels like a traitor working for Kip, only everyone knows Penryn men are gorgeous but unreliable. All she has to do is sit back and watch him mess it up…doesn’t she? Available here on pre-order. Published 18th, May. I love romance. What’s not to love? The psychological kitchen sink drama’s seem to have taken over the literary world but, as a genre I avoid them like the plague. Yes, they’re well written, well crafted masterpieces but they’re just not my bag. I don’t like surprises. Surprises are for News at Ten. Surprises as an adult aren’t the surprises of a child. They aren’t a last minute trip to the beach, or that special gift just because you deserve it type of surprise. When was the last time an adult got a nice surprise just because…. Just because they were doing what adults do. Jobs. Housework. School run. Taking the bins out – oh no, that’s the man’s job! These days surprises are usually the little loving gestures brought in by the cat and those are the kind of surprises I can do without. The MC, Lily is well rounded, sweet and a good friend. With a failed marriage behind her, a spandex, gym bunny of a mother and no job to call her own she’s searching for a new path and a short term wedding planner job seems to be the short term answer to her prayers. The men, yes there are two, aren’t easy to like at the start. There’s Kip, the wild boy and even wilder man and wedding business rival – the surly Heathcliff sort and then Fred, the lighter, brighter boy next door type; I disliked both. Or, at least I did until Jane chunked out their characters and their true natures revealed themselves. There’s lots going on here but this holds its own set of risks and trip wires for the writer. Sub-plots can lead to the reader either getting confused or bored but Jane has excelled herself. There’s Kooky characters coming at you from all sides. 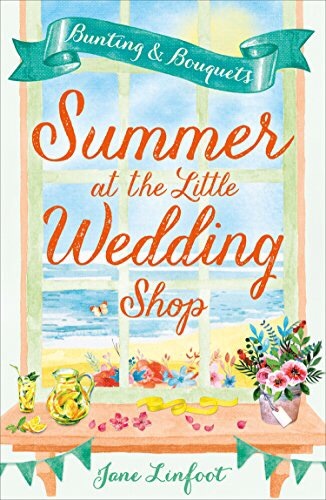 If it’s not Lily’s BF’s Instagram stunts with rival Bridzilla, it’s the wedding shop owner’s antics with jet hopping perma-tanned uncle and the continued saga of her mother – just who wants a mother like that! Well done, Jane but I didn’t expect any less from you. I have just one question- when’s your next one out? I loved this story also and the whole series would be a fabulous summer holiday read.